I chose to be an entrepreneur. I chose to be a leader. Little did I know that the same choice that liberated me and created freedom and abundance also created loads of stress and uncertainty. I knew I had talents and skills and I knew I had the drive, but I didn’t have a plan. One thing I’ve learned after 10 years of being a six-figure hairstylist (turned life coach turned psychic medium!) is that success takes structure. The only business plan I had when I started OMGhairstyles was that I wanted to make $100,000. As a 20-year-old, I definitely didn’t have a plan or even an accountant!! I randomly picked $100k as my target income and broke down the math (unusual for us creative types! LOL) to realize I would hit six-figures at $333 5 days a week. That number gave me a tangible goal. Something to work towards. I honestly believe had I just shown up with NO plan (even though my plan wasn’t very detailed) I wouldn’t be as successful as I am today. 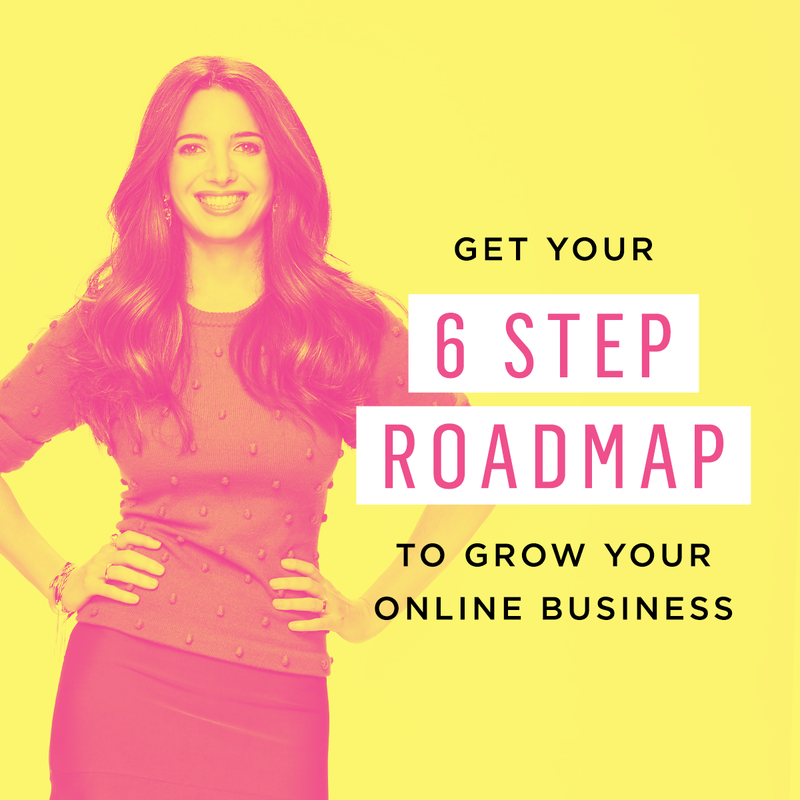 Then in 2014, a wonderful woman named Marie Forleo walked into my life with a REAL PLAN! Oprah calls Marie a “thought leader for the next generation of entrepreneurs”. Marie’s infamous idea of “Everything is figuroutable” helped me to break past my limited perception and see how I could take the self-love transformations I was creating inside the salon and bring out into the world through my online blog. We all have a message. A story. A talent that needs to be shared. A voice that needs to be heard. A gift that needs to be shared. And you are no different. Before I stumbled across Marie’s powerful training BSchool I was thinking about my business all wrong. Then in 2016, I created and launched my first online course, Shine School, to empower women to break free of fear and confidently embrace their authentic self after applying everything I learned from Marie. … set you on the path to true FREEDOM — time freedom, location freedom, no-more-demanding-boss freedom, take-your-holidays-when-you-want-them freedom, and yep: complete *financial* freedom. … and show you how to work WITH those parts of yourself that can sometimes keep you stuck. You might be wondering if B-School is still relevant. Or if it will work for you. Well, whatever stage of business you’re at, knowing the fundamentals of business, marketing and how to make money online are the absolute foundation for moving forward and building a financial foundation for the future. If you’re ready to become a #ladyboss then don’t miss this training while it’s still available. I can honestly say, without Marie’s guidance I wouldn’t have the success, financial freedom, AAAAND most importantly the courage to share my gifts with the world. P.S. Marie has helped thousands of people create profitable businesses they love and I know her teachings are game-changing. That’s why I’m a proud affiliate partner of her world-renowned B-School training.